On a brisk October morning, the day was just starting at SimplePart. Coffee brewed in the kitchen. Dogs raced around the building. Morning greetings were being exchanged...between an ostrich and his rider? Soon, a hippie, Batman(s), Boba Fett and other characters had taken over the building! What happened to the SimplePart employees? By 10 o'clock, the office was full by a whole host of bizarre sightings - including an adorable little chicken and his farmer. At the stroke of noon, it was clear that Halloween had taken over SimplePart. A pumpkin-carving contest was in order after a delicious lunch, and everyone scrambled to think up the spookiest creation. 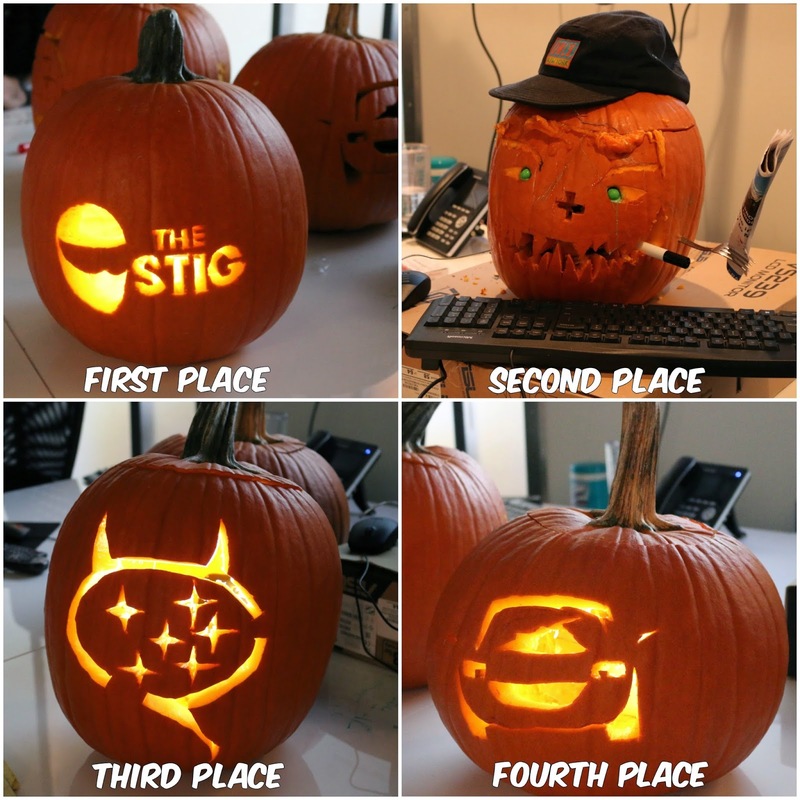 Wielding knives and scooping out pumpkin guts, the teams were all hoping to claim first prize. But who would win the title? Only time - and some judges - would tell. Happy Halloween, from all us characters at SimplePart!